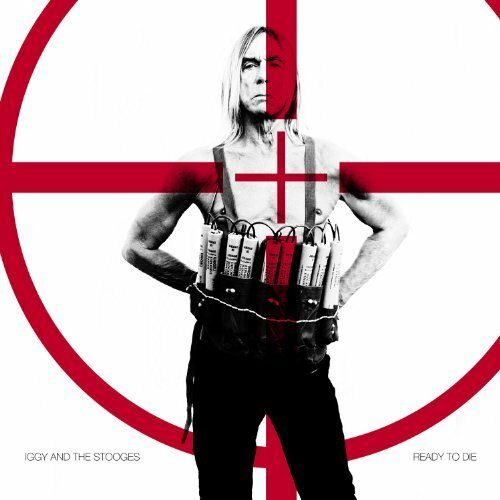 Samuel Johnson, the essayist, lexicographer and founding editor of the Ye Olde Musical Express, once said that “the covers album is the last refuge of the scoundrel”. It’s not entirely clear what he meant by this and Johnson himself was said to be a huge fan of William Shatner’s The Transformed Man. He was, nevertheless, onto something. When straining to concoct a stop-gap release amid a stint of creative block, the covers album requires a little more effort and imagination on the part of the scoundrel than the dreaded remix collection. While lazily parading their apparently impressive range of musical influences, who but the scoundrel would think: “Billie Holiday’s version was pretty good but HOW ABOUT THIS...”? Even those scoundrels you’d expect to shine can disappoint. Evan Dando is usually a dab hand(o) with the cover, but Varshons is one of the least essential items in the Lemonheads’ discography. It includes an electro-disco number sung by Kate Moss, for Christ’s sake. The triumphant covers album can be an even a greater curse: none of the scoundrel’s subsequent self-composed records will match the time they borrowed others’ superior songs (I’m looking at you, certain folkish singer-songwriter). Odes is not a flying success. Nor is it a disaster. With a covers album, that might be the best one can hope for. 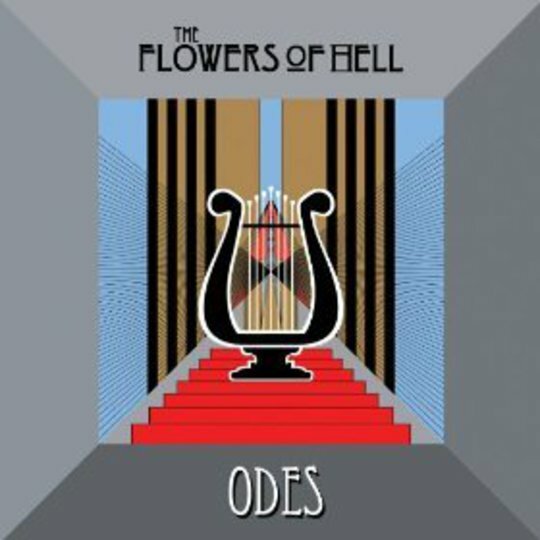 With a sound more exuberant than, say, Rachel’s but more eager to be taken seriously than a Polyphonic Spree b-side, Flowers of Hell have released three albums of lukewarmly received 'non-linear' transatlantic orchestral rock. 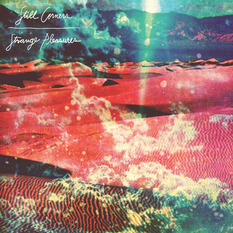 Several reviews for 2009’s Come Hell Or High Water praised their version of The Jesus & Mary Chain’s ‘Darklands’. This might explain why their first album with lyrics and verse-chorus-verse structures consists entirely of covers. Naturally, Odes is patchy, a problem exacerbated by the variety of lead vocalists, but a general uniformity of sound is secured by the steady orchestral backing. There is little of that schizophrenic genre-lurching that the covers project often encourages. Odes feels considered, planned and crafted, rather than thrown together willy-nilly. Still, not everything works. While ‘Avery Island/April 1st’ is a pleasant enough intro, it’s hardly the most challenging number in the Jeff Mangum canon. This is followed, conversely, by a challenge that probably shouldn’t be undertaken at any time, by anybody, ever: Joy Division’s ‘Atmosphere’. Competing with the intensity of Curtis & co. is harder than nailing a jelly to Hooky’s low-swinging bass. Some folk insist that Bob Dylan’s songs are best performed by other singers. Flowers of Hell’s superfluously humdrum take on ‘Mr. Tambourine Man’ suggests not. Rarely has the word “Hey!” been sung with such a total lack of lustre. Among the more fulfilling covers albums are those which stick to reinterpreting a single artist’s work (Springsteen’s Seeger Sessions, Billy Bragg & Wilco’s Now That’s What I Call Woody Guthrie series). It’s plausible that Flowers of Hell toyed with this idea. Lou Reed’s work pops up thrice. First there is ‘Walk on the Wild Side’, which uses Reed’s original, alternative lyrics sourced from an old demo tape. More ambitious is ‘O Superheroin’ which marries Laurie Anderson’s ‘O Superman’ with The Velvet Underground’s ‘Heroin’. Its socially-detached robotic vocals, frisky strings, and wafts of ominous feedback achieve a suitable otherworldliness. The Velvets’ ‘Run Run Run’ is transformed from ragged NY beat-cool stomp into the instrumental theme tune from a surreal detective noir. Fleetwood Mac’s Tusk cut of ‘Over and Over’ certainly sounds heartfelt but suffers from an unfortunate MOR naffness. Flowers’ take, with British Sea Power’s Neil Wilkinson and Abi Fry at the helm, is mournfully, almost painfully slow. The Mac’s soft-rock guitar licks are replaced by distressed, wavering strings. There may have been a trace of weary optimism to Christine McVie’s delivery of the line “what can I do to keep you around?” Here, it is a defeated and broken mutter into a lonely, indifferent void. Odes’ highlight, however, is ‘Muchomurky Bílé (Destroying Angel)’, the unofficial anthem of the old Czech dissident movement, featuring one of the scene’s original musicians, Ivo Pospíšil, on vocals. Unlike the Flowers’ other singers, Pospíšil sounds uniquely grizzled and weathered. His is the voice of a man who has lived. His presence also seems to lift the rest of the players to a higher level of emotiveness. It’d be great to hear a full album of Ivo’s croaked baritone backed by Flowers of Hell’s philharmonic jams.